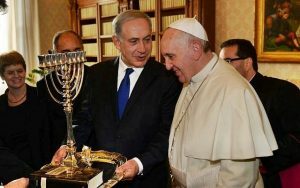 “It’s a pleasure for me, on Christmas, to be here, standing in Jerusalem, the holy city. I’m very proud to be the Prime Minister of Israel. A country that says Merry Christmas, first to its Christian citizens, and to our Christian friends around the world! 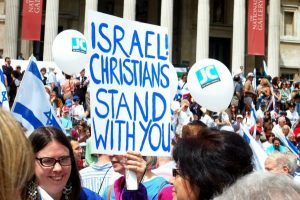 I’m proud that Israel is a country in which Christians not only survive, but they thrive! Because we believe in this friendship among people. And we protect the rights of everyone to worship in the holy shrines behind me. 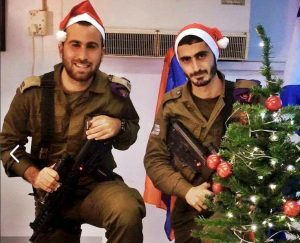 So now I have a proposition for all our Christian friends: I’m going to take, next year, on Christmas, for those of you who come to Israel – I’m going to take a guided tour. In fact, I’ll be your guide on this guided tour! And think of all the places you can walk – you can go to the ‘Jesus Boat’ in the Sea of Galilee, you can get to the Church of the Holy Sepulcher right behind me. Any places that you want to visit in the footsteps of Jesus, and the origin of our Judeo-Christian heritage. “Haim, thank you for asking me to address the Saban Forum once again. This year I want to talk about a topic that I almost never bring up: Iran. Just kidding. But if any of you were in my shoes, you’d talk about Iran too. I’d like to explain why. Recently, the Crown Prince of Saudi Arabia referred to Iran’s Supreme Leader as the new Hitler of the Middle East. Obviously there are some important differences between Nazi Germany and the Islamic Republic of Iran, but both regimes do have two important things in common: one, a ruthless commitment to impose tyranny and terror, and second, a ruthless commitment to murder Jews. Which brings us back to Iran. I’m sure many of you have heard Iran’s silver-tonged foreign minister charmingly explain that Iran is a moderate power which harbors no hatred toward anyone. Right. Mr. Zarif: Tell that to the journalists tortured in Evin prison. Tell that to students shot in the streets. Tell that to hundreds of thousands of dead Syrians killed by Iran’s proxies. Tell that to Bahais and Christians denied any semblance of human rights. Tell that to Jews in Argentina who were blown up in a community center by the Iranian regime. Tell that to Americans whose flag is stomped on and whose country is called the Great Satan in the heart of Tehran. Tell that to Israeli mothers and fathers whose children are routinely condemned to annihilation by Iran’s fanatic leaders. I speak so often about Iran because I read history. When tyrants call for the destruction my people, I believe them. I don’t have the luxury of discounting their genocidal threats. So let me reiterate Israel’s policy. We will not allow a regime hell-bent on the annihilation of the Jewish state to acquire nuclear weapons. We will not allow that regime to entrench itself militarily in Syria, as is seeks to do, for the express purpose of eradicating our state. I know none of you want to see the Iranian regime armed with nuclear weapons. But the JCPOA will leave Iran able to produce the fuel for an entire nuclear arsenal in about a decade. President Trump has created an opportunity to fix the great flaws of the JCPOA. I urge you, in the policy community, to help decision makers in the capitals of Europe and Capitol Hill, to take advantage of this opportunity. My friends, one day the Iranian regime will fall. Iranian mothers and fathers will rejoice in the street. Israel will be first in line to restore relations and rebuild our great partnership. That’s just one reason why I’m so hopeful about our future. Today Israel is more welcome by the nations of the world than ever before. Our economy is booming. Our foreign relations are flourishing. Our army is more powerful than ever. Our unique, our indispensable alliance with America is growing from strength to strength. When I look forward 50 or 100 years, I believe Israel will be embraced openly by its Arab neighbors, rather than in secret, in the way it’s done today. I see Israel as a world power that continues to provide cutting edge technology and innovation to help people around the world. 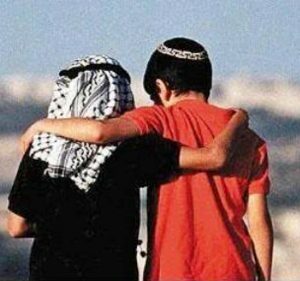 I see a thriving relationship between Israel and the Jewish communities, no matter how they pray and where they’re from.